David Andrew Warner (born 27 October 1986) is an Australian cricketer. An explosive left-handed opening batsman, Warner is the first Australian cricketer in 132 years to be selected for a national team in any format without experience in first-class cricket. He currently plays for New South Wales, the Sunrisers Hyderabad and the Sydney Thunder. He became vice-captain of Australia across Test & ODI formats of the game, in August 2015. On 7 November 2015, Warner achieved one of the rarest feat of becoming only the third batsmen in history of Test cricket, after Sunil Gavaskar & Ricky Ponting, to score centuries in both innings of a Test match thrice. In the very next Test match against New Zealand, he scored his maiden Test double century at The WACA, Perth, his fourth consecutive century against New Zealand. In that same match, Warner also became the second opener in Test cricket history, after India's Sunil Gavaskar, to score three consecutive Test hundreds twice in his career, and the only Australian since Adam Gilchrist to score three consecutive hundreds (a feat Warner had done twice in just 13 months), while completing his 4,000 Test career runs as the 4th fastest Aussie batsman, the top three being the legendary Don Bradman, Matthew Hayden & Neil Harvey respectively. Warner also became the first batsman to ever score three centuries at The WACA, with his top 2 scores in Tests both achieved in the same stadium. His top score of 253 was also the second-highest individual score to be surpassed by an opposition batsman in the same Test match, which was surpassed during Ross Taylor's knock of 290. Currently, he is ranked fifth in the list of top 10 Test batsmen in the world, according to the official ICC Player Rankings, published in December 2015. 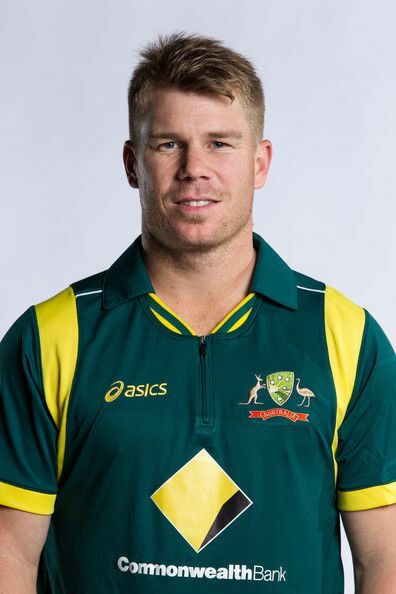 David Warner became the first Australian cricketer in 132 years (since 1877) to get into the national team without playing a first-class game. David Warner made a record in the KFC Big Bash by completing his half century in 18 balls against Tasmania. David Warner has many nicknames like Lloyd, Mario, Bull, Cannon. In 2016, Warner levels the record for most hundreds by an Australian in a calendar year by making five centuries . David Andrew Warner was born at Paddington, a suburb in eastern Sydney, New South Wales. At the age of 13 he was asked by his coach to switch to right-handed batting because he kept hitting the ball in the air. However one season later his mother, Sheila Warner (nee Orange), encouraged him to return to batting left-handed and he broke the U/16's run scoring record for the Sydney Coastal Cricket Club. He then made his first grade debut for the Eastern Suburbs club at the age of 15 and later toured Sri Lanka with the Australian under-19s and earned a rookie contract with the state team. Warner attended Matraville Public School and Randwick Boys High School. Warner is known for favouring the aerial route with his aggressive left-handed batting style, and ability to switch hit, using the back of his bat or by taking a right-handed stance. He is an athletic fielder and also a part-time spin bowler. His bowling style is unique in that he mixes off-spin bowling with his more usual leg-spin bowling. At just 170cms Warner generates his power from strong forearms and uses his low centre of gravity to get underneath deliveries and hit them high in the air. In a Twenty20 match for New South Wales in 2009, he hooked a six off Shaun Tait that landed on the roof of the Adelaide Oval, only a month after hooking the same bowler 20 rows back at the SCG. Warner's breakthrough innings for the New South Wales Blues came against Tasmania when he smashed 165* to record the highest one day score by a Blues player ever. Warner later backed this up with a 54-ball 97 also against Tasmania to narrowly miss the record for the fastest ever century in Australian domestic cricket. This introduction to the domestic scene led to Warner being included in Australia's Twenty20 squad in January 2009. Warner made his international debut for Australia in a Twenty20 International against South Africa at the Melbourne Cricket Ground on 11 January 2009. 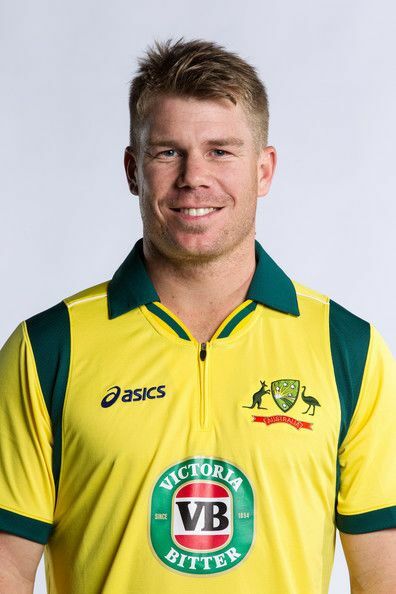 Warner’s international career started in 2009 with a bit of history – he was the first man to represent Australia without a first-class match to his name since 1877. He made an immediate impact, scoring 89 off 43 balls with 7 fours and 6 sixes, including the then second-fastest fifty in Twenty20 International history. Warner was just 11 runs short of becoming only the second player after Chris Gayle to score a Twenty20 International century. His 89 was the second highest score on Twenty20 international debut; and the equal fifth highest score ever in Twenty20 internationals. On 23 February 2010, playing a Twenty20 international against the West Indies at the Sydney Cricket Ground, he made a stunning 67 off just 29 balls. His 50 coming in at just 18 balls, breaking his old record of 19 and it became the second fastest 50 in Twenty20 International history after Yuvraj Singh. Warner finally made his first-class debut playing for New South Wales against Western Australia in the final match of the 2008–09 Sheffield Shield competition at the Sydney Cricket Ground on 5–8 March 2009. Batting only once and coming in at number six in the batting order, Warner scored 42 runs off 48 deliveries. 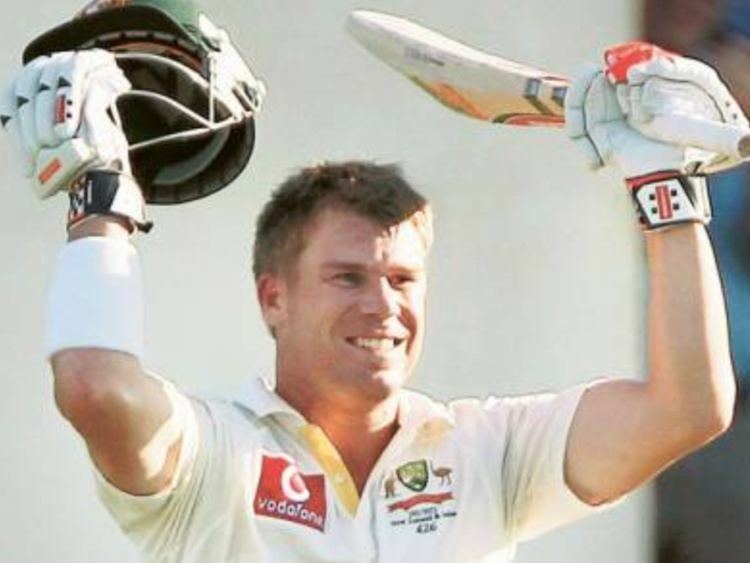 On 7 October 2011, Warner became the first cricketer to score consecutive Twenty20 hundreds, when he followed up an unbeaten 135 against Chennai Super Kings with an unbeaten 123 against Royal Challengers Bangalore. Both matches were in the Champions League. He made his Test debut on 1 December 2011 against New Zealand at Brisbane, Queensland in the first Test of the Trans-Tasman Trophy due to an injury to Shane Watson. He made a disappointing 3 runs in the first innings. In the second innings he scored 12 not out off just 4 balls, scoring the winning runs with a pull shot through mid on. Warner scored his first test hundred on 12 December 2011 in Australia's unsuccessful run chase against New Zealand in Hobart. Warner made 123 not out in his side's second innings total of 233. In doing so he became just the sixth person to carry his bat through the fourth innings of a test match. Warner bowls a Right Arm Leg-Break and on his first delivery in Test Match Cricket, the ball was dropped in the outfield denying Warner a maiden Test Match Wicket. On 13 January 2012, in only his fifth test match, Warner scored a 69-ball century against India at the WACA. At the time, this equalled West Indian Shivnarine Chanderpaul for the fourth fastest test century of all time, in terms of balls faced. He ultimately built his innings to a score of 180 from 159 balls, setting a new personal high score in test match cricket. Warner scored 163 off 157 balls at the Gabba on 4 March 2012 in the first final of the CB Series against Sri Lanka. He batted until the last ball of the innings. It was his first ODI hundred for Australia. He followed it up with 100 and 48 in the other two finals at the Adelaide Oval. Warner's aggregate of 311 runs was the highest ever for the finals of a tri-series tournament in Australia, surpassing Greg Chappell's 266 runs in 1981. While playing for New South Wales, Warner broke the record for the highest Australian one-day domestic score. His score of 197 came off just 141 balls and included 20 fours and 10 sixes, surpassing Jimmy Maher's previous record of 187. During ICC World Cup 2015, Warner started the World Cup decently by scoring 22 against England and 34 against New Zealand. But in their fourth match against Afghanistan, he scored 178 runs off 133 balls, which became his highest score in ODIs, helped Australia to score the highest team total in any World Cup and the highest in Australia. 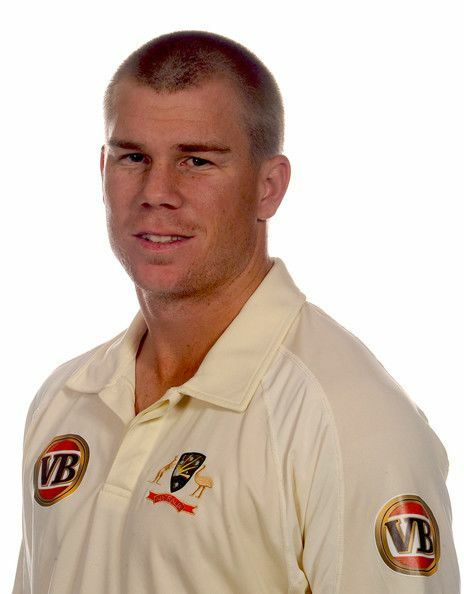 Warner was signed by IPL team Delhi Daredevils for the 2009–10 seasons. During the 2009 tournament which was played in South Africa, Warner played seven games, scoring 163 runs at an average of 23.28 and with a strike-rate of 123.48. His top score was 51. In the fourth season, Warner was contracted by Delhi Daredevils for US$750,000. In the fifth season he made a century in 54 balls. Following the IPL 2014 auction, he was contracted by Sunrisers Hyderabad for USD 880,000. In 2015, he was appointed captain of the Sunrisers for IPL 2015. Warner ended the season as the tournament's leading run scorer, rewarding him with the orange cap, although the Sunrisers narrowly missed out on reaching the knock-out phase. Warner made a record in KFC Big Bash by completing his half century in 18 balls against Tasmania. The earlier record was held by George Bailey, who completed his half century in 19 balls. In the first season of the newly re-vamped Big Bash League, Warner was named as Captain for the Sydney Thunder and in his first match for the Thunder scored 102 not out off just 51 balls with a strike rate of 200 runs per 100 balls and set the record for the most career sixes in the KFC Big Bash League with 38, previously held by David Hussey. Warner has played for English County Champions Durham for the English cricket domestic season. Former New Zealand captain Martin Crowe has called for a yellow-card and red-card system to be introduced to international cricket to curb Warner's "thuggish" on-field behaviour, stating that Warner was "the most juvenile cricketer I have seen on a cricket field". On 12 June 2013, Warner was dropped for Australia's second match in 2013 ICC Champions Trophy match against New Zealand following an attack on an England cricketer. It later emerged that this player was Joe Root. The event happened hours after Saturday's loss to England at Edgbaston earlier that day. According to the sports journalist Pat Murphy, the incident took place at 2am at the Walkabout bar in the centre of Birmingham, UK. On 13 June 2013, the Australian Cricket Team announced that Warner was to be fined £7,000 (AU $11,500) and would not play for his country until the first Ashes' test on 10 July 2013. Warner subsequently missed the rest of the 2013 ICC Champions Trophy and the tour matches against Somerset and Worcestershire. Warner attracted further controversy soon after. On 27 July 2013, whilst playing for Australia A against South Africa A in Pretoria he was involved in an on-field altercation with South Africa A wicket-keeper Thami Tsolekile. This was deemed serious enough for the umpires to step in twice, however no formal complaints were made and Warner tweeted later in the day describing it as "friendly banter". Despite this, writers called into question his return to the Australia squad for the third Ashes test against England, which seemed likely after scoring 193 in the first innings of this match. He was eventually forgiven and was recalled but caused huge hilarity when he 'hooked another one to Root' as he put it himself, as he was caught on the boundary by Root. Warner married Australian ironwoman Candice Falzon in April 2015. They had their first child on 11 September 2014, a daughter named Ivy Mae Warner. On July 15, 2015 the couple announced they are expecting their second child, another daughter. On November 13, 2015, he led the team to wear black armband in honour of his paternal uncle, who passed away from liver cancer, less than a year since the passing of Phillip Hughes, and, by time zone, the day before November 2015 Paris attacks.